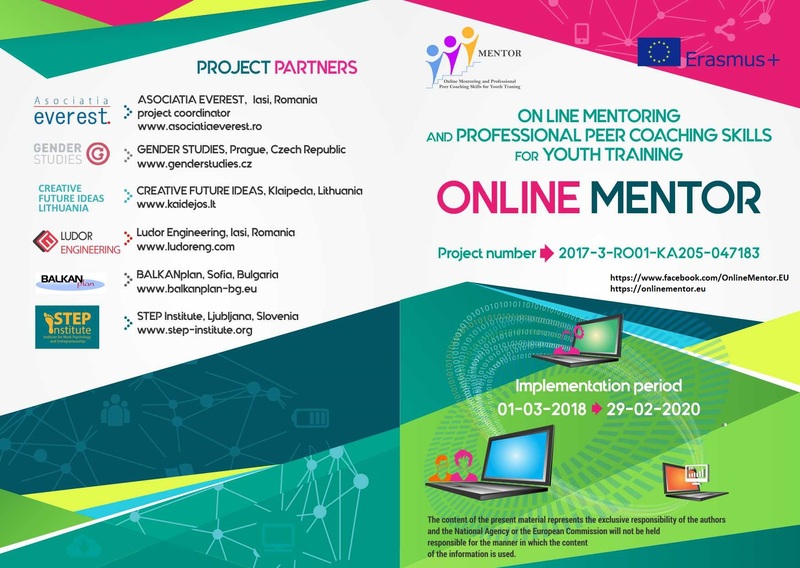 Online MENTOR will facilitate employability and transition of young people over 18 from youth to adulthood, increasing their level of job-competences and entrepreneurship skills. Creating Mentorship and career guidance skills, training course will provide youth trainers, youth workers, practice mentors and teachers the opportunity to develop a role model sharing knowledge and advice to help young people over 18, students , volunteers, interns and young employees grow professionally by means of an up to date innovative and attractive curricula and ICT methodology for nurses, social workers and teachers. The work-based learning competencies they will have the chance to acquire will prove extremely useful in their everyday job practice, which will improve the services provided to patients and beneficiaries, their cooperation with co-workers and supervisors, as well as their sense of self-efficacy and employability.The project participants will benefit from validated standardized innovative ICT mentorship and career guidance training program at international level. Online MENTOR aims at raising awareness on social inclusion and gender balance in career guidance among youth trainers, youth workers teachers, practice mentors, as well as students, volunteers, interns, and young professionals from nursing, social work, teaching, professions which are mainly feminine, by disseminating the Best practice collection for gender balance and non-discrimination in career guidance. It will generate awareness on gender issues, positive behaviours, tolerance, acceptance of diversity. ​The main target groups of the project – nurses, teachers, social workers mentors, practice, volunteers and internship participants supervisors – will have the chance to acquire new knowledge, skills and practice extremely useful in their everyday job practice, which will improve the quality of education and career guidance provided to their students, volunteers internees. The project will have an important on the secondary target groups – students, volunteers, young professionals- positively influencing their adaptation to the job conditions, their professional performance, as well as their sense of well being, job satisfaction and personal development. On the whole the project activities and outputs will improve the services provided to end-users, patients/beneficiaries. They will also receive international validation of the knowledge and skills. to enhance tolerance, equality, gender balance, and social cohesion through best practice collection for gender balance and non-discrimination in career guidance. “The content of the present material represents the exclusive responsibility of the authors and the National Agency or the European Commission will not be held responsible for the manner in which the content of the information is used“.